378. Which artery supplies the AV node? / Pacemaker rates at three different sites / Describe the conduction pathway / Which conduction defects are associated with RCA and LAD occlusion? Previous PostPrevious 377. How do pacemaker cells differ from non-impulse generating cells? / What are afterdepolarizations? 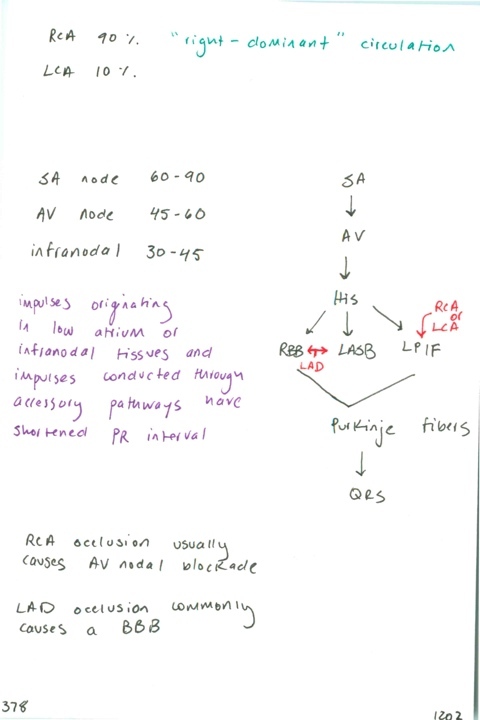 / The SA node is supplied by what artery?